The sun has not yet risen over Agra in Uttar Pradesh, India, and I’m already on the move. An electric car drops me off at an ornate red brick archway. There’s a distinct nip in the air as hawkers begin to arrive in the small village that seems to have evolved around this gateway. I see stall owners putting out their curios as smoke starts to fill the air as the pottery makers begin to light their furnaces. There are small model Taj Mahal‘s being arranged onto market stall tables and I start to wonder if my five hour journey along chaotic and bustling roads from Jaipur the evening before were worth the effort. 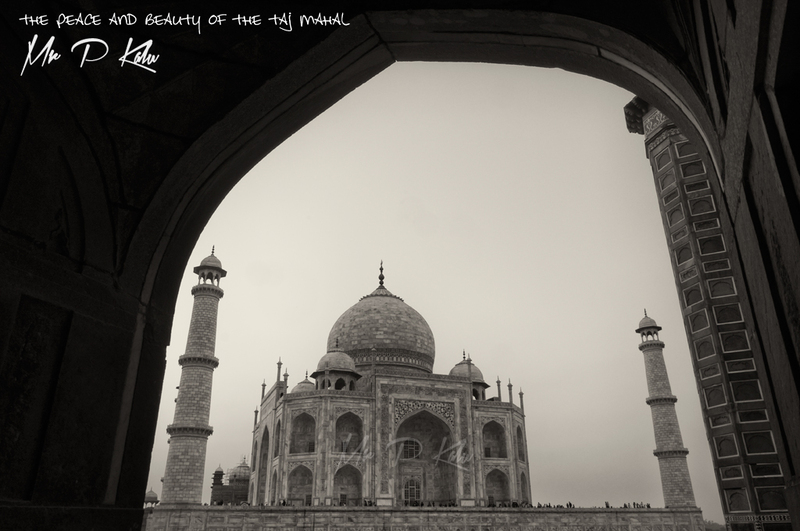 As I pass through the security checks and final gateway, I am actually left speechless as I set eyes upon the Taj Mahal which is sitting majestically against the early morning sky and rising sun. As you are seduced and drawn along the reflecting pools towards the main object of attention, its easy to forget that the four minarets and amrud or onion dome are actually part of an opulent tomb built in the mid 1600’s by the grief stricken Shah Jahan in memory of his 3rd wife who died in labour while delivering their 14th child. 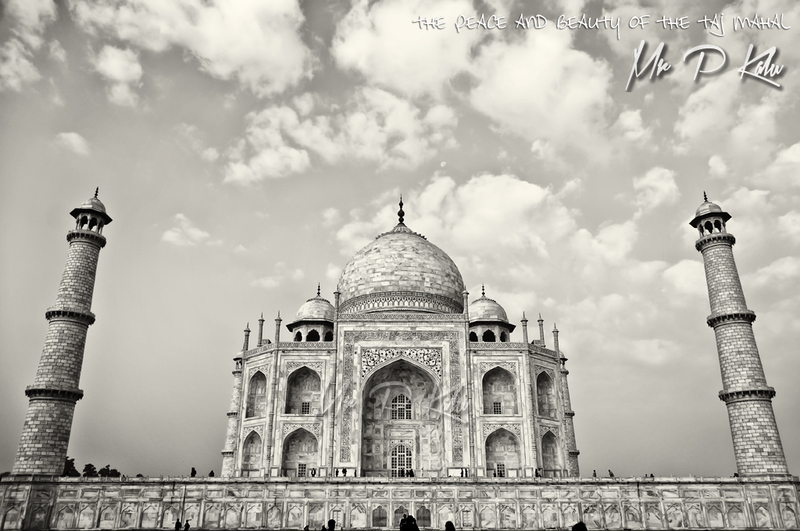 The informative guides who lead you around this world heritage site are adept at bringing the Taj Mahal love story to its conclusion by informing you that the Shah himself was laid to rest by his wife’s side with their faces both looking towards Mecca. I highly recommend visiting the Taj Mahal at dawn as you can appreciate the eerie silence and calm that surrounds the mausoleum when there are only a handful of people around. The wisdom of this strategy was confirmed when I returned to the complex at sunset and was struck by the vast numbers queuing to gain entry to areas that I had earlier wandered through freely. 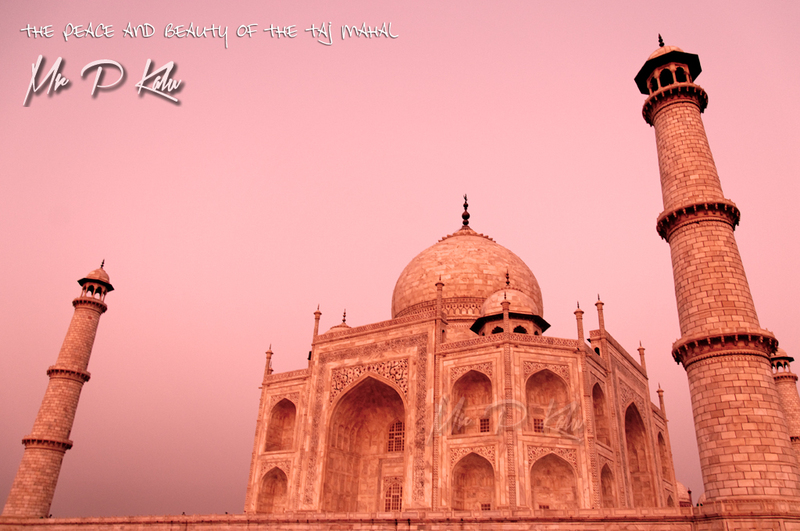 But this later trip was rewarded by the colours of the setting Indian sun which appeared to be soaked up into the marble walls of the Taj Mahal.